To lose a loved one through death is tragic, but to lose them without a trace is more devastating. Such is the pain that relatives of the missing go through, which was brought to life by Christian Tordecillas’ masterpiece, “Katre”. It’s an honor for me to see a friend’s work come alive on stage. Christian, or X as we fondly call him, had written plays that imply social relevance. One of them was the one-act satire, “Dyip” (Jeep, short for jeepney), which won him the Carlos Palanca award in 2006. I was already impressed by his brilliance in provoking critical thinking of life’s realities through artistic writing. 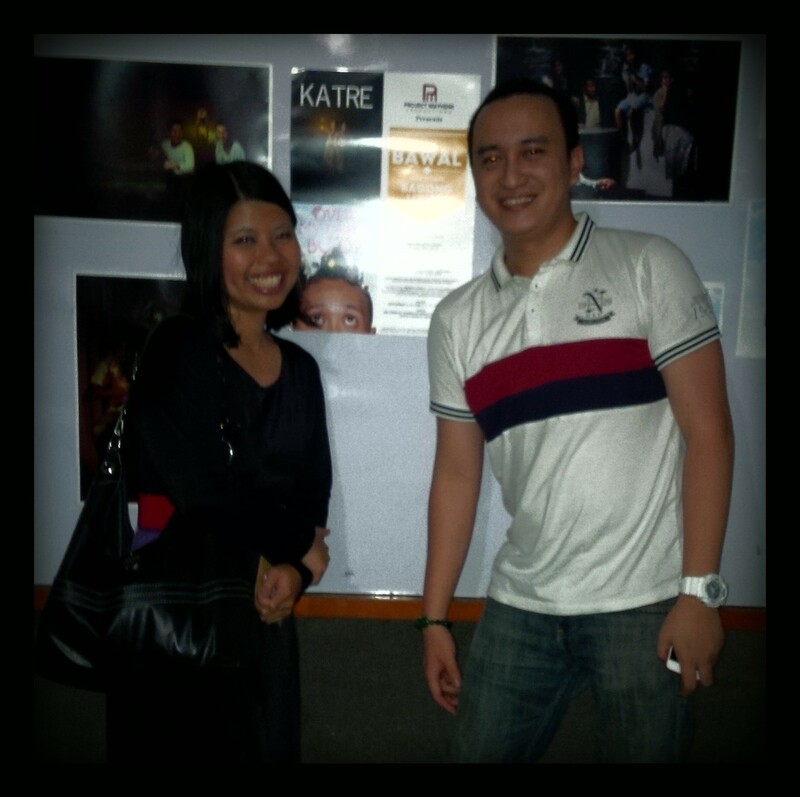 This time, “Katre” touched my heart as it brought up the issue of desaparecidos in the country. In the play, an aged Lea awaits for her missing husband and child. Everytime she rises and returns to her katre (bed in Visayan dialect), she recollects her life when her family was still with her. Not knowing their fate, she clung on the hope that they are still alive. Lea is the epitome of those left by desaparecidos, or those who are missing due to forced disappearances. We remember Jonas Burgos, who still remains missing since he was taken in 2007. We remember Karen Empeño, and Sherlyn Cadapan, whose whereabouts remain unknown even when alledged abductor Ret. Gen. Jovito Palparan had been caught. We remember the rest of the desaparecidos since Martial Law, who had been forcefully taken into the seclusion. 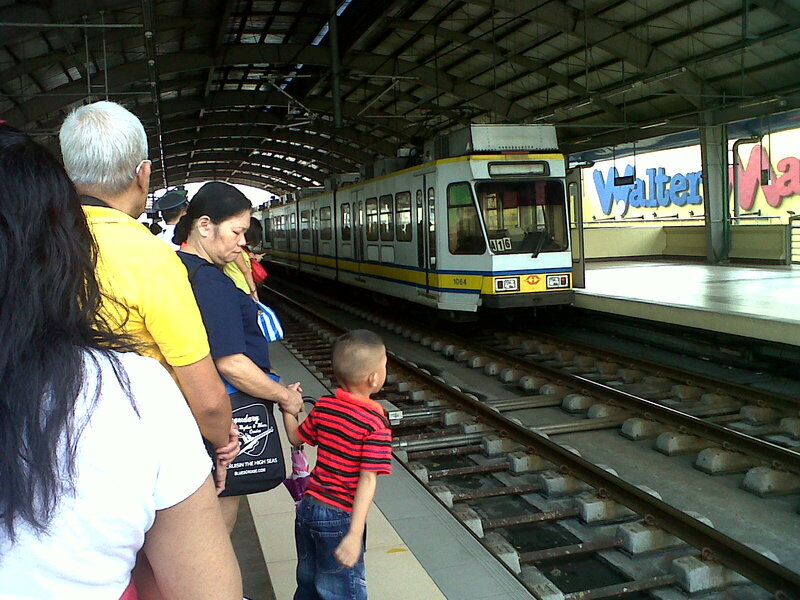 Just like Lea, those left behind by desaparecidos struggle between hope and despair. Because I did not want anybody to see I was a crybaby, I gulped back my tears when Lea battled against that hope she treasured for years. The actress convinced me of the pain and frustration Lea tried to deny before. Her story rings the message of the consequences of impunity — which the Philippines has struggled for a long time. Without glorifying the political overtures of impunity, “Katre” brings to thought the ordeal of those who have been victimized by it, whether the desaparecidos or the families they left. Simply portrayed yet deeply movong, “Katre” awakens the fact that the issue of impunity should not be ignored. “Katre” is one of the plays featured in “BA-WAL: Mga Dulang Bagong Luwal” by Project Mayhem Productions. Also featured here is the dark comedy “Over My Dead Body” by Christian Dagsil. You can watch them at Ateneo de Manila, at the ISO complex. Remaining theater dates are at September 7, 13, 14, and 15. These plays are shown at 3pm and 7pm, except on September 13, as show is only at 7pm. I know there is nothing wrong with this question but it irritates me at most times. It’s OK to ask it if you’re really curious and we’re familiar with each other. Rather, it’s being asked by not-so-close people…and they’re boys. For me, it implies something, especially through social media. It’s an off question. And it find it as a really strange question. Girlfriend? Do we know each other that well? Are you sure we’re meant to be? And why ask through social media and not personally. Why should I entrust my heart through someone who proposes through virtual space? How sure am I he’s true on his word? The Internet can be used as a mask to hide one’s fears while pretending to be brave enough. Rather, I’d appreciate those who take time and courage to tell his feelings personally. You can say I’m a very idealistic woman. Let me just say that I don’t have time to flirt. I pursue real love through commitment. For me, a sign of a committed man would really pray about his relationship and would not try to pry on single ladies through social media. Love is not a betting game. Which lady bites the bit is his. That is the game of most men today. But this is not true love. True love goes hand-in-hand with commitment and sacrifice. To go into a relationship requires these two elements, as each one has to give up something from themselves for the sake of their partner. Indeed, it is not a fleeting moment, just like a shoutout or a status on FB or Twitter. And I can’t afford to take time on fleeting moments. Felt like I’m in a dreamlike state. You know the sensation being in a dream while smelling the medicines in your room despite of having dreadful colds. After that you find yourself in a restful but desperate state on your bed. But in my case, I don’t find myself on my bed after witnessing the rush hour. I was already awake for a long time. The terrible news is when you can’t hit the bed despite of being sickly. The dreamlike state is actually a reality in a guise, causing the hours turn slower than you could ever imagined. This, my friends, is my dilemma for the moment, aside from the embarassment my coughs caused against my image. I just had heard from church yesterday that we get so caught up with the “greater things” that we forget what the Lord really wants us to do. My standard of excellence is when I get my story right, perfect, all the important elements, interviews are gathered no matter how hard it should be taken. And this desire for excellence causes me to focus on the wrong things, forgetting that I should be taking a rest. Once I realize it, its too late and I’m already too off-balanced. The madness of the rush hour, the speedy routine, and the game of perfection is a trap to forget the essentials. Actually, it is the balance of priorities that gets us to the top, not of a company, but in life. And so, how I wish this realistic dreamlike state ends immediately. I can’t turn back and end my story now. I just have to move on and make the decision to redeem my health by taking an important element in life: REST.